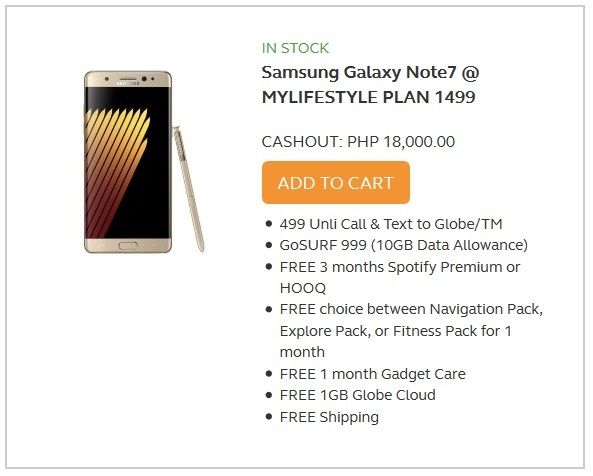 Aside from Smart Communications, Globe Telecom also recently released their postpaid plan offerings for the soon to be released Samsung Galaxy Note 7 phablet. The Note7 was officially announced last week by Samsung now sporting an Iris Scanner for an even more secure files and digital transactions. Some other cool features have been also added on the newest iteration of the device such as IP68 water and dust proofing, microSD card support and an enhanced S-Pen. 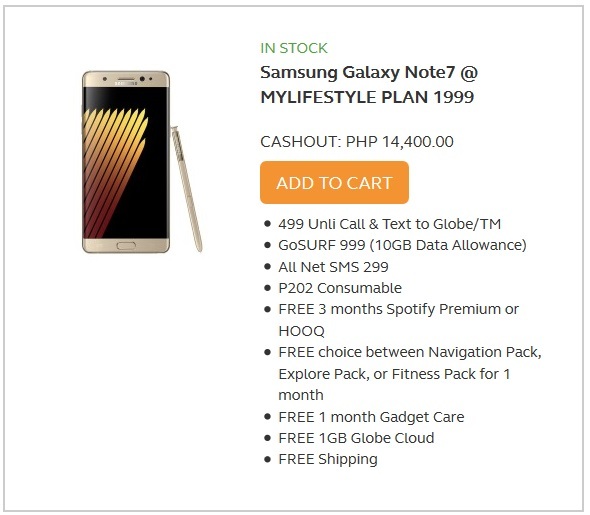 Interested subscribers can get the newest S-Pen equipped device under myLifestyle Plan 1999 with a total cashout fee of Php14,400. 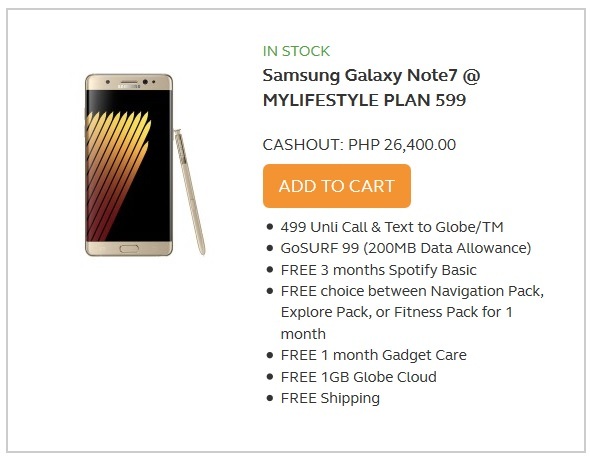 Under this plan, users will be able to take advantage of the following services. If that does not suit your lifestyle, you may also get the Samsung Galaxy Note 7 under different postpaid plans Globe is offering. 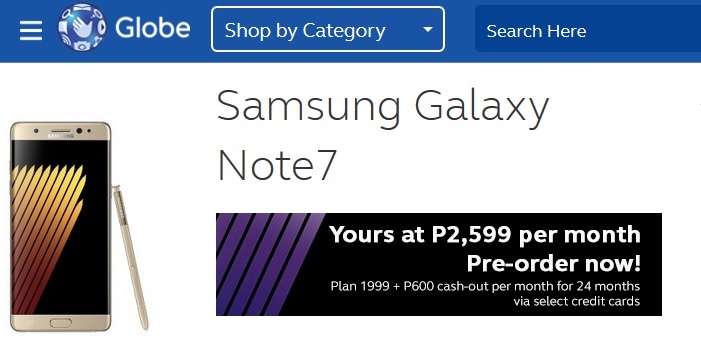 See screenshots below taken from Globe website. 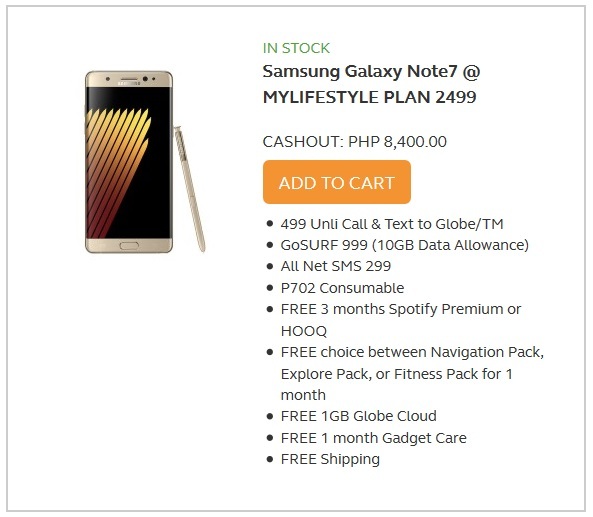 You may now pre-order the Galaxy Note 7 and its corresponding postpaid plan from Globe through its online site here. Check out my Samsung Galaxy Note 7 post here to learn more about the device and its features.